In the mood for a romantic evening? Step into The Little Door. The “hidden” doors might not reveal much, but once you step inside…romance galore! 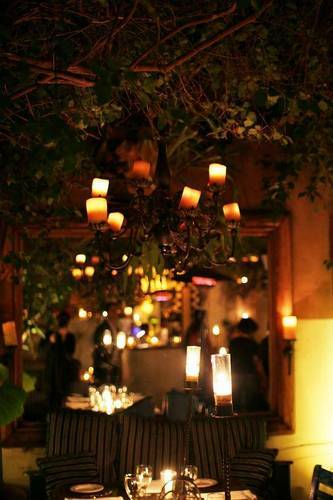 Candles, soft music, brick flooring and beautiful plants turn this restaurant into an enchanted garden. 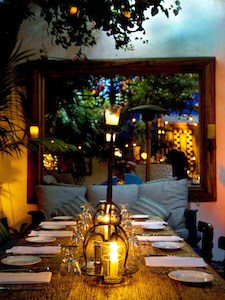 The Mediterranean menu matches the rustic decor, with classic ingredients in modern-style dishes. Prices are a little steep but romantic dinners are not the occasion to be stingy, right? When you plan to come with a group, check out the private dining options, such as the Blue Room or Piano Room. Make sure not to confuse this restaurant with the brasserie Little Next Door, which is – surprise – next door. It might have more curb appeal with the large patio out front, but when it comes to romance we believe nothing beats a hidden little garden.